Explore the pristine beaches and spectacular landscape of Fraser Island on the 1 Day Fraser Island Tour. Departing the Sunshine Coast in air-conditioned 4WD transport, we journey across the Noosa River for morning tea at Rainbow Beach. The unforgettable scenery continues as we travel along the crystal white sands of the beach highway to Fraser Island. We stop for a traditional Aussie lunch and a swim at Lake McKenzie, before heading to an isolated section of beach for tea on the way home. Our Fraser Island day tour is an essential day trip to discover this remarkable island. Journey from Brisbane to the snow-white sand and crystal clear waters of Fraser Island. Discover the island via a number of optional hikes and walks or just chill on the pristine beaches of this popular island off the Queensland coast. Keep your eye out for the unique Australian wildlife that inhabits the area as we journey across the island to Lake McKenzie, Rainbow Beach, Eli Creek and more. The grassy campsite will provide you with a comfortable place to rest your head before more adventures on day two. This two day Fraser island tour camping adventure will show you the best of Fraser Island. 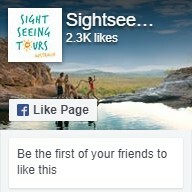 Book your Fraser Island tour with us today! The 2 Day Fraser Island Tour takes you to explore in depth the natural beauty of this spectacular island. Journey in air-conditioned 4WD transport to discover the coloured sands of Rainbow Beach, the impressive ruins of the Maheno Shipwreck and swim at Lake McKenzie and Eli Creek. Staying at the National Park Cabin allowing you more time for wildlife sightings nearby your accommodation. The following day, we wake to further explore the island before returning to the Sunshine Coast. This Fraser Island day trip is an awesome adventure exploring this beautiful island. Sunny and energetic, Brisbane is the sophisticated capital of Queensland. Come for the hot weather and fall in love with the energetic and fun-loving lifestyle of this underrated Australian city. Explore the city itself with a city tour or take advantage of the spectacular weather with a cruise to one of the nearby islands. Day tours to Stradbroke Island and Moreton Island give you the opportunity to enjoy a number of water based activities and spot the local marine life. Feed wild dolphins, join a whale watching cruise, have a go at sandboarding or just relax and enjoy the sun on the beautiful island beaches. Book your Brisbane tour with us today and be surprised by this spirited city. With 52 kilometres of golden sandy beaches, 300 days of sun and a laidback surfer vibe, the Gold Coast is the perfect holiday destination. Famous for it golden beaches and perfect waves, the Gold Coast is an endless playground brimming with exciting activities. Jump on our Gold Coast City Tour to cruise along the Broadwater and try fishing or crabbing. But don’t think all the fun only happens by the water - journey inland to the hinterland to discover tropical rainforests and waterfalls. We've got day tours heading to spectacular locations including Mount Tamborine, Natural Arch and Springbrook National Park. Our Glow Worms Evening Tour takes you to discover the magic of the rainforest at night. Discover the Gold Coast and the fun it has on offer by booking a tour with us today!